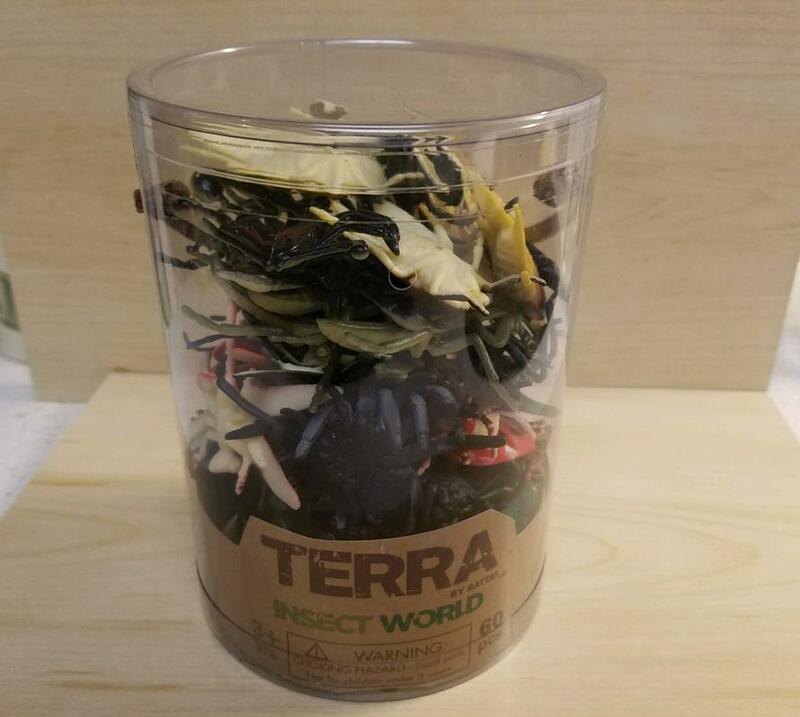 Review of the set, Insect World by Battat Terra, new for 2017. So, I stumbled upon this set on Amazon.com while searching for something else. I did not have any interest in it, as I assumed it would contain the usual generic Toy Major-style figures (I was proven correct). However, at work we were given $10 gift cards for Amazon. So, I figured since I could get the set for half-off, might as well take a look to see what it's like. Like all of the Terra 'bucket' sets, it consists of 60 figures, 5 each of 12 different sculpts. I knew this ahead of time and was not expecting 60 different figures (that would have been nice LOL). 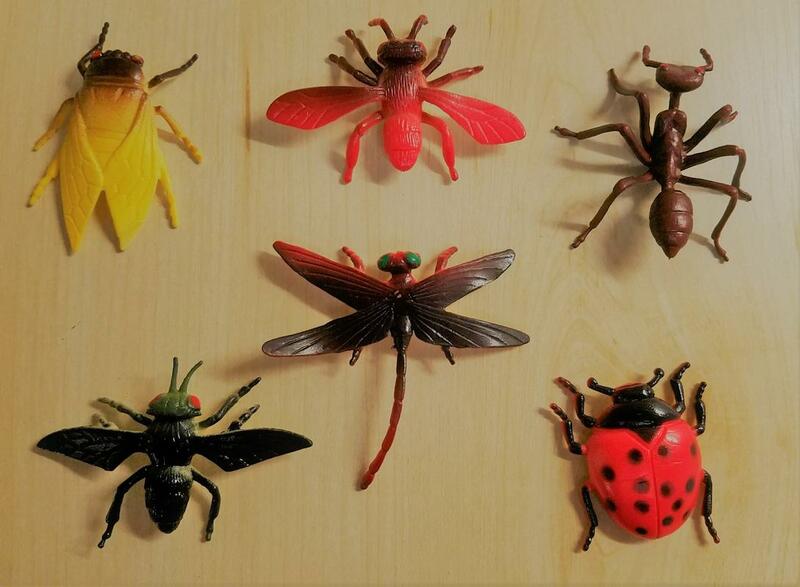 When I saw them, my hunch was confirmed, these are all the generic 'chinabug' style popularized by Toy Major and its knock-offs. 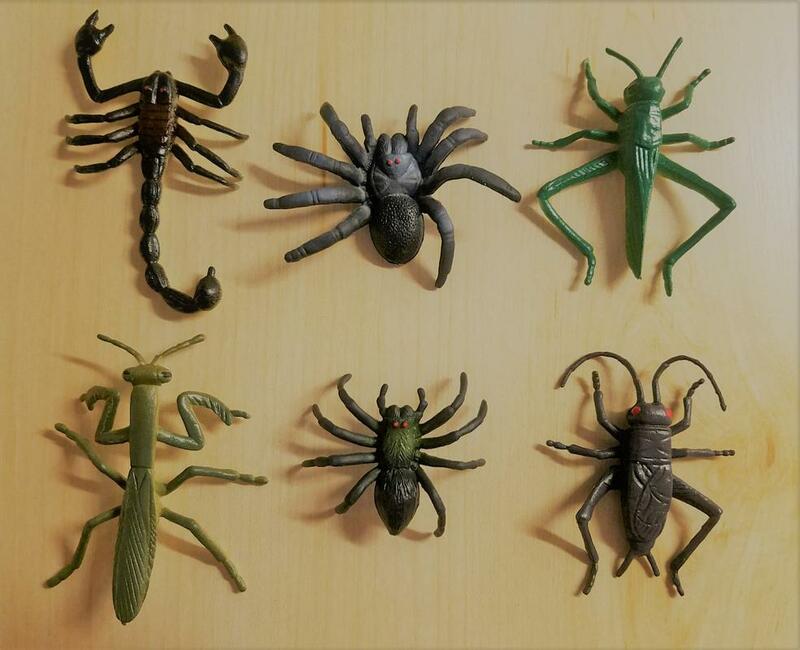 They are made of a stronger, firmer plastic, and the paint seems darker, but the sculpts are essentially the same (the smaller of the two spiders does seem different however). Since there is nothing really exciting here, I took two pics of 6 each. I didn't feel it was worth the time to take individual pics for each item (I might down the road someday). Thankyou for showing them, and telling about them ! Your comparison with Toy Major is intringuing. Actually, their Terra mamals , in terms of concept, looks like a slight upgrade of the large solide Toy Major figures. These bugs, are also quite generic as some TM as you mentioned. They also suffer from similar problems like the 6-legged scorpions, etc.